Travis Morgan’s case seems open and shut: A plot to kill his estranged father, fundamentalist preacher Arlie Morgan, goes awry and his bullet slays an innocent bookkeeper. Two eyewitnesses seal Travis’ fate. But despite damning evidence and an admitted hatred of his father, Travis staunchly maintains his innocence. Beseeched by his anguished mother, veteran defense attorney Barbara Holloway agrees to represent Travis. With the support of her father, attorney Frank Holloway, and crack private investigator Bailey, Barbara reveals a zealot, his ultrarich backers, and unimaginable atrocities. Travis’ case proceeds to trial, and Barbara finds herself pitted against a complacent legal system and a judge eager to simply close the case and retire. Knowing she must intervene decisively to avoid a conviction, Barbara steps squarely into the path of danger. Risking her own life, Barbara confronts the killer in order to save Travis’. 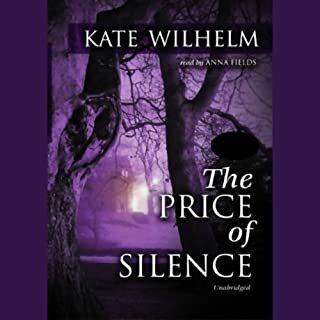 Kate Wilhelm is the best-selling author of dozens of novels and short-story collections. Among her novels are the popular courtroom thrillers featuring attorney Barbara Holloway. Her other works include the science fiction classic Where Late the Sweet Birds Sang. Born in Ohio, she now lives in Eugene, Oregon. Would you listen to By Stone, by Blade, by Fire again? Why? 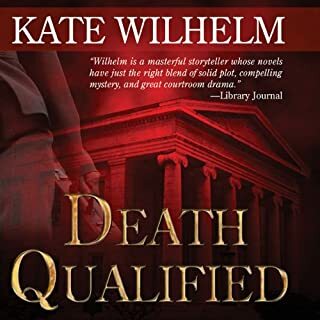 Would you be willing to try another book from Kate Wilhelm? Why or why not? Yes. Her leading characters are interesting and grow over the series. The plots vary, but she always provides good material for long car trips. Which character – as performed by Carrington MacDuffie – was your favorite? This plot was a little less credible than some of hers -- the Secretary of Defense manipulating a state cop in Maryland was weird, and the prosecutors' motives did not make much sense -- they should have dropped the case much earlier. Barbara Holloway and her team are challenged again. Carrington MacDuffie does an outstanding job narrating this book. Don't miss it. Get ready to listen and stay listening because it is hard to stop till you get to the end. This is basically an ok book, although there are a couple of enormous plot holes. It is typical Kate Wilhelm and enjoyable. Barbara Holloway and her dad are there and are well drawn. 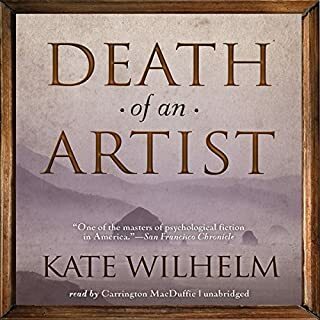 It was enjoyable, except there were a couple of major things that made me wonder if Kate Wilhelm has watched any modern crime drama television at all. I listened to the book on a long trip with my daughter and she had the same reaction. I am a huge Kate Wilhelm fan and have listened to every Barbara Holloway novel. That's why this one was such a huge disappointment. Both the author and the narrator seem to have run out of gas. The plot was boring and the characters were so underderdeveloped that it was difficult to care about the outcome. I really struggled to get to the end. 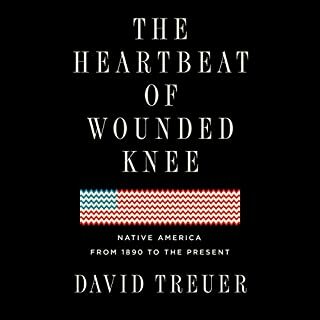 If you have not experienced this author before, skip this one and go for the earlier books. All I have to say is that Kate Wilhelm is a fine writer. I enjoyed the book, however GSR no book! GSR would have ended the investigation into Trevor guilt immediately. It is not 1975 anymore and we are all familiar that gsr can be made to give false positives but only if the the perso that fired the gun makes it happen. Welcome Chaos was scientifically beautiful. Where Late the Sweet Bird Sang is wonderful on so many levels. I can't believe Ms Wilhelm couldn't add a paragraph to fix this problem. However if I missed the explaination all I can say is to repeat Gilda Radner " never mind". Usually, I only listen to audiobooks in my car. But this was so great, I kept finding excuses to listen to more of it! 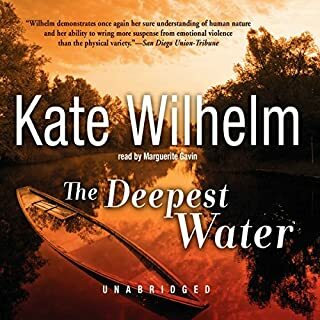 It's been awhile since I listened to my last Kate Wilhelm book. So when I listened to the first couple of chapters of By Stone, by Blade, by Fire, I thought I might have missed a book or gotten something out of order. I had forgotten Kate's style of dropping us into an event or character and then going back and providing the background later. I was absolutely caught up in the events of this book. Kate weaves a story where I root for the underdog and absolutely hate the bad guys. I love how she weaves the courtroom scenes so that I really care about objections raised and whether the judge will overrule or sustain! Bravo, Kate! Love love love this story! 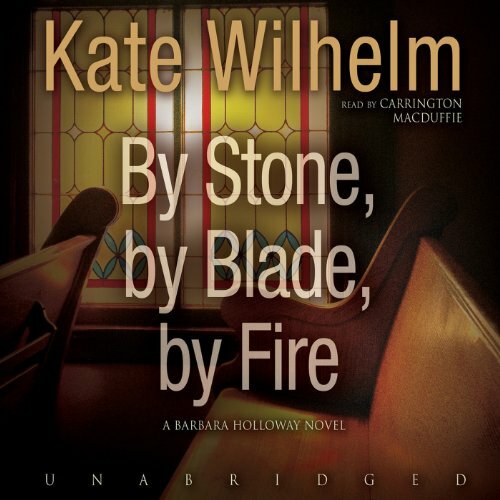 Kate Wilhelm has done a great job on keeping the Barbara Holloway series alive. Looking forward to the next one. 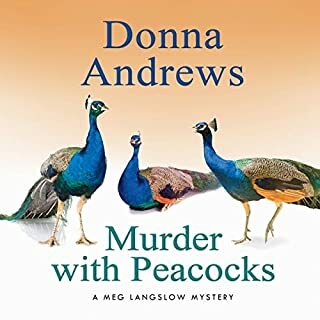 If I haven't listened to books by an author recently and download a new one, I typically go back and re-listen to all of them in order adding the latest one at the end. Having done that, I was SO very disappointed with this book. If you took all of her liberal rants out of the book, I'm quite sure you'd have a short story. Perhaps if I shared her beliefs, I wouldn't find them so objectionable, but I don't and I really don't care what she thinks about global warming or any of the other half a dozen views she sprinkles liberally throughout the book. I listen to books to be entertained, intriqued, and even amused NOT to listen to the writers political views. And she does so as if it were facts that we all know and believe. Anyway, should there be another Wilhelm novel, I for one will avoid it. I think Ms. Wilhelm ran out of anything to write about 2 or 3 novels ago. My major disappointment is that Carrington MacDuffie uses a terribly dull voice for the central character. The central character ends up sounding like a peevish, irritating helpless old woman. Although I was intrigued by the plot line, I decided to stop listening and borrow the book from the library.